Dhiraagu has celebrated key milestone by providing high speed fibre broadband service for 75 percent of the population. The ceremony was attended by President Ibrahim Mohamed Solih. Fibre broadband project initiated by Dhiraagu ensures cable connectivity from the northern to southern-most point of Maldives via 1,258 kilometres of fibre optic cables, now ensures that 58 of most populous islands, which cumulatively contain 75 percent of the country's total population, have access to high-speed internet. 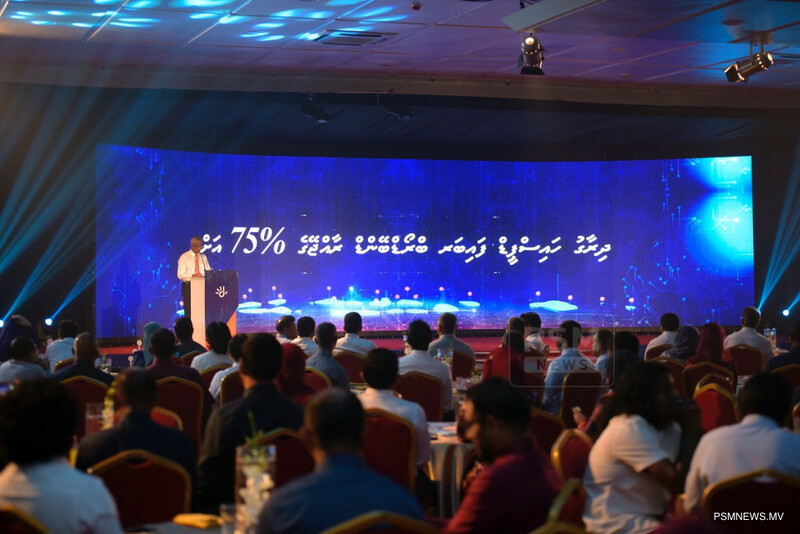 During the ceremony, CEO and Managing Director of Dhiraagu Ismail Rasheed said providing fibre broadband service to 58 islands is a milestone achievement. Ismail Rasheed noted enabling fast internet connections in islands assist in digitalising all sectors of the country. He highlighted while internet has been provided to a large population, efforts are underway to reduce the prices for the service. Furthermore, the CEO of Dhiraagu expressed hope internet services will be provided for the remaining islands in the near future.